Editors Note: Fall is here and it’s just the best! Pumpkin spice lattes (call me basic, IDGAF), colorful leaves, warm layers, and crisp cold. 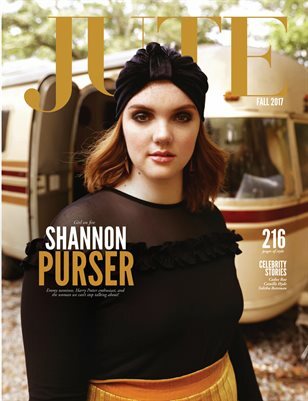 It’s just my favorite, only enhanced by this beautiful issue including our amazing cover star Shannon Purser. I’m so proud of her Emmy nomination, and even though she didn’t win she is still my favorite breakout star of the year. Big things are coming for her and all of our insanely talented artists in this issue. Cailee Rae, Camille Hyde and Talitha Bateman are gracing the pages of the fall issue and it’s absolutely glorious. I’m keeping it short this time because these powerhouse ladies speak for themselves!